Outgoing Scholarships are available to tenants or employed barristers of each of the Inns up to five years' practice as a barrister (not including pupillage). Further details are available from the Secretary to the Pegasus Scholarship Trust at the Inner Temple Education and Training Department. The closing date is 30 November each year and all applicants are invited for interview in January. Applicants have to complete an online application form giving details of their academic qualifications and other relevant information. They will also have to write in no more than 250 words their reasons for applying for a scholarship. Applicants will have to supply three references: one academic, one personal and one from their pupil master. The academic reference can either be from an academic or someone in a position to speak about your academic ability, e.g. a pupil supervisor or colleague. Three references are required to support your application. One of these should be from either your pupil supervisor or a senior member of chambers. Ordinarily an academic and a personal reference are also submitted. 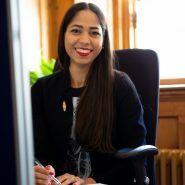 If you think an alternate reference or two professional references may be more appropriate please call Sellisha Lockyer on 020 7797 8210 to check if they can be submitted instead. A copy of the referee's letter to be forwarded by you can be downloaded below. Applications for the 2019 awards open on the 1 October and will close on 30 November 2018. Incoming scholarships are available through the Cambridge Commonwealth Trust and the American Inns of Court Foundation. Since the start of the scheme in 1987 we have received over a hundred scholars from the following countries: Australia, Cameroon, Canada, Cyprus, Dominica, Hong Kong, India, Israel, Japan, Kenya, Malaysia, Malawi, New Zealand, Nigeria, Pakistan, Singapore, Sri Lanka, Swaziland, U.S.A., West Indies, Zambia and Zimbabwe. American lawyers interested in applying should contact the American Inns of Court Foundation. See Contact Details below. All those applying to the scheme whether as ingoing or outgoing scholars, must be aware of their obligation to commit themselves fully to it. If they are offered a scholarship they will be expected to complete their entire placement/s. Applicants should be aware of the fact that they will be committing themselves to placements several months ahead and will be required to undertake to fulfil those placements.